Welcome! The classicist building in the embassy district was once home to the Royal Danish Embassy. Sensitively renovated, SO/Berlin Das Stue welcomes you in elegant, modern rooms. 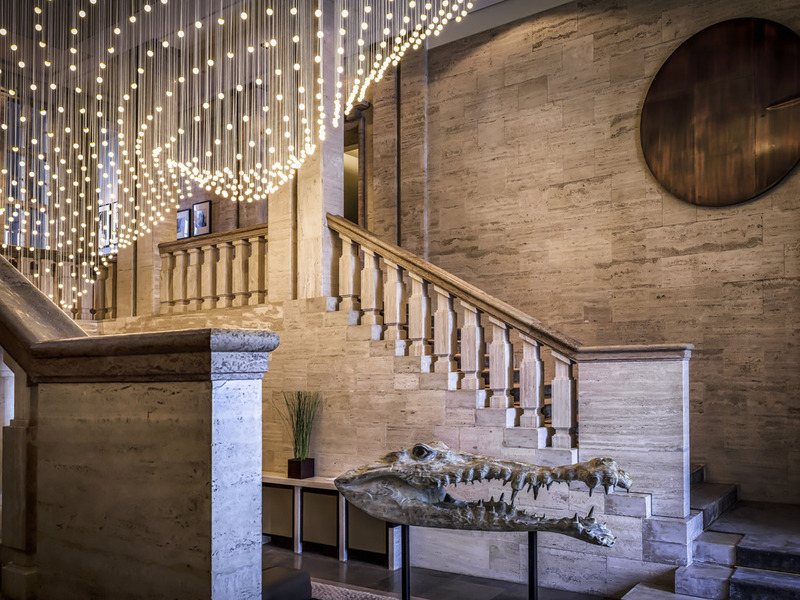 The boutique hotel SO/Berlin Das Stue is located in the middle of the embassy district, in the immediate vicinity of the Berlin Zoo. It has a fixed view of the Tiergarten, the zoo and of the Berlin's western and eastern skyline. The listed building of the former Royal Danish Embassy was built in the late 1930s by KaDeWe architect Johann Emil Schaudt. Unique furnishings and color accents add an individual touch to our modern rooms and suites. Views from the floor-to-ceiling panoramic windows will inspire your creativity. You can then relax in the large rain shower. With high ceilings measuring 16 feet (five meters), free-standing bathtubs and exclusive materials, the 754-sq.-ft. (70-m²) Stue Suites exude all the flair of a lavish urban villa. The 861-sq.-ft. (80-m²) Penthouse Suite offers a unique view of the zoo. Celebrate a feast for the senses at Cinco by Paco Pérez. The hands of the star-winning chef create avant-garde gourmet menus. What could be nicer than celebrating life with loved ones? The Casual Restaurant brings together select ingredients in elegant craftsmanship, creating the finest tapas. You can also enjoy this on the terrace in the green courtyard. Experience the glamour of old Berlin in the intimate atmosphere of our lounge. Enjoy modern interpretations of classic cocktails over fascinating conversation and let our jazz bands and screens featuring Cary Grant take you back in time.